Let’s start with Breeze, the showcase for new and international niche beauty brands. It’s always interesting because this special exhibition area presents a colourful mixture of international beauty brands. And here are some of my personal Breeze highlights! Meißner Tremonia was founded in 2014. The company started out as a classic men’s brand with a focus on wet shave products. Then Meißner Tremonia branched out; today the brand’s line-up includes some 200 sku of aftershaves, bar soaps, shower creams, shampoo pastes, shower butters and wet shaving products. In total there are around 18 fragrances with 9-13 products in each fragrance line. The brand’s latest launches are a range of deodorant creams which hit the shelves in mid-2016, and a line of liquid soaps which were introduced earlier this year. The company’s products are sold in selected barber shops and perfumeries throughout Germany; there are also two outlets in Dortmund and Recklinghausen. First-time exhibitor Oak Berlin was another men’s brand in the Breeze part of Vivaness. Oak is a classic wet shaving brand: founded in 2013, Oak Berlin offers a beard oil, a beard balm, a beard wash and a beard styling product. 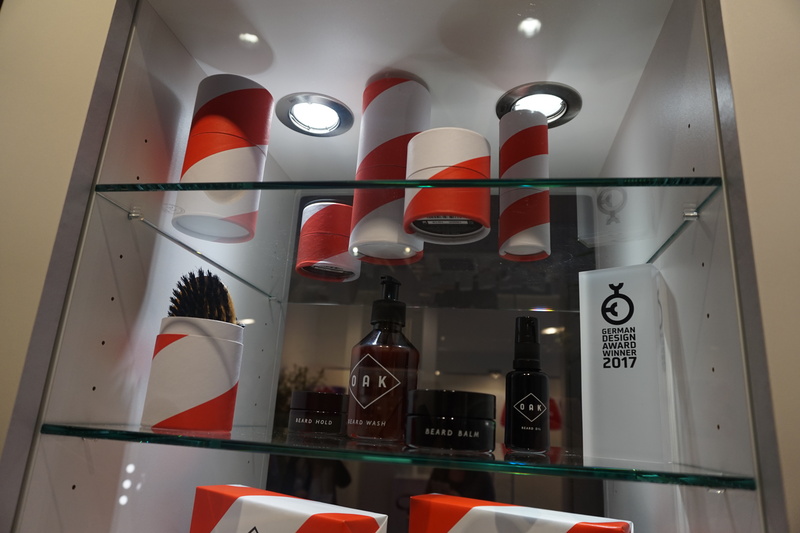 The products are sold in barber shops, concept stores and selected perfumeries – I’ve seen the Oak Berlin products in various stores in Berlin. 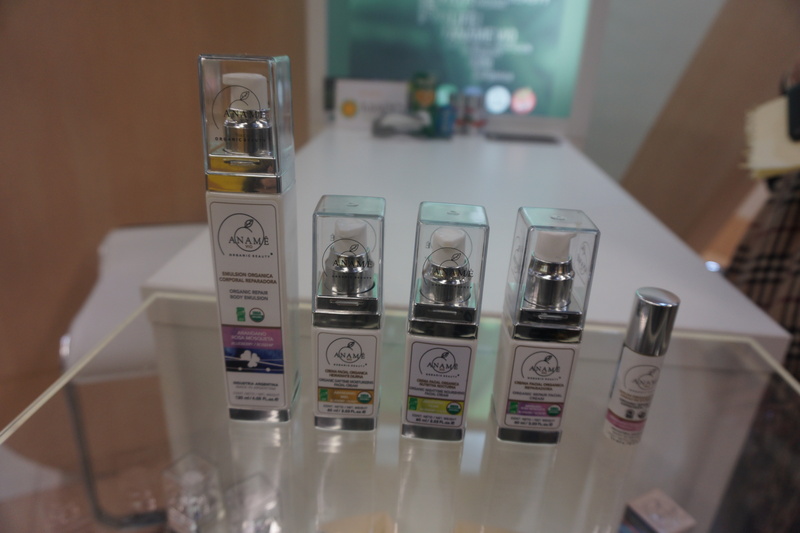 Alavi Natural Cosmetics was another Breeze exhibitor; the company is from Rijeka in Croatia and was founded in 2016. Alavi specialises in high-end face care and the brand’s portfolio includes the Flora Divina face care with the following five products: the Flora Divina Recovery Cream for sensitive skin with St. John’s Wort oil, tamanu oil and aloe vera, the Flora Divina Hydrating Cream for dry and normal skin which includes baobab and kukui oils and mango butter, the Satin Soft Make-up Removal Oil with almond oil and jojoba oil, the Flora Majestica Radiant Serum with prickly pear and amaranth oils and Flora Majestica Night Cream for mature and dry skin with apple stem cells, hyaluronic acid and cotton thistle extract. In addition there is a Quick Tanning Cream with buriti oil, sea buckthorn extract, coconut oil and carrot oil and the Super Rich Hand Cream with rice bran oil, lecithin and tamanu oil. 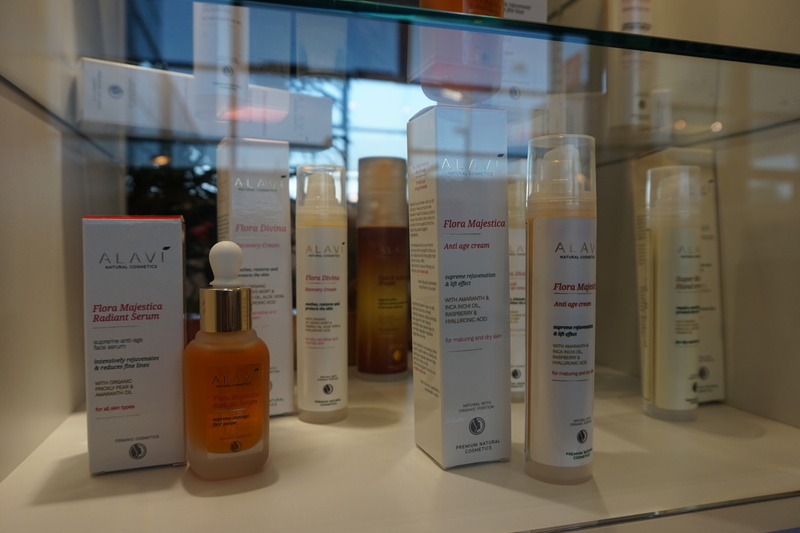 So far, Alavi’s products are only available online but hopefully the brand will find a distributor in Germany soon. Another first-time exhibitor was Eco by Sonya from Australia. I had met Eco by Sonya at last year’s Cosmoprof Bologna; the brand is famous for its organic self-tanning and sun protection products. 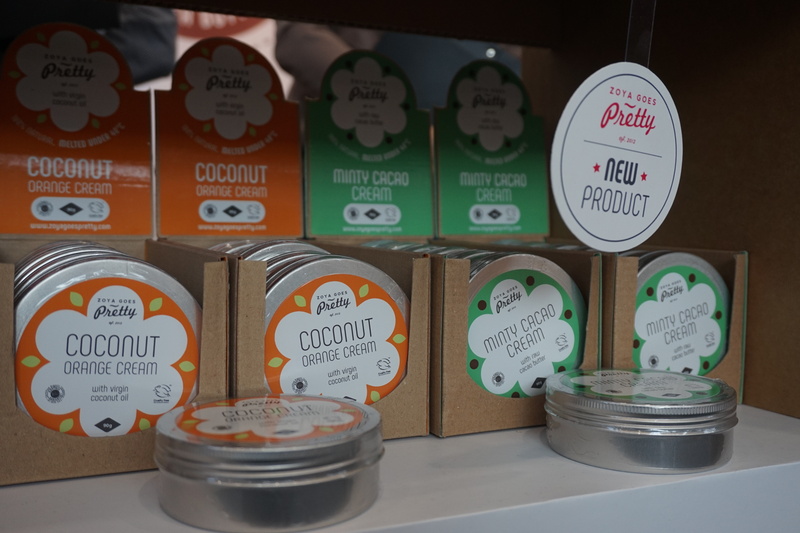 Now they are looking to expand distribution in Germany – Eco by Sonya’s products are already available online but they want to move into stationary retail, too – and their latest product launch is the Cocoa Firming Mousse which came out in June 2016. Of course I also asked them about their Asian retail presence – Asia-Pacific brands tend to be quite strong in East Asia – and indeed, Eco by Sonya is already available in Japan and they are also looking closely at the Korean market. And Boho Green Makeup: such a nice organic colour cosmetics brand! The company was established in 2012; they are from France and a first-time exhibitor at the trade show. Besides their home market, Boho Green is quite strong in Scandinavia (interestingly enough, Finland is their biggest market), plus Sweden and Norway. They are also in Spain, Belgium, Holland, Italy and several of the Balkan countries – and now they are trying to enter the German market, too. Good luck to them! Incidentally, Boho Green Makeup is already present in Japan and Thailand and, I was told, they are considering a further regional expansion into Korea. Mix my Shampoo is a Munich-based start-up with a really unusual concept – I actually just wrote about them in an Organic & Wellness News article on “kitchen beauty” (DIY cosmetics) which is a big trend in the organic beauty sector at the moment. Ok, so Mix my Shampoo offers customisable shampoo formulations. You select your favourite shampoo base (dry hair, oily hair or normal hair), add a colour-boosting extract (walnut for brown hair, camomile for blonde hair, sage extract for silver/grey hair or horse chestnut extract for red hair), select up to eight moisturising, nourishing, protective or whatever ingredients (there are around 30 plant oils, butters and extracts that you can choose from) and finally, one of 18 essential oils to scent the shampoo mixture. The company then blends the shampoo according to your recipe and ships it straight to your address. Founder Markus Peetz told me that Mix my Shampoo also offers limited edition and seasonal ingredients and that their best-selling fragrance is vanilla. The company was launched in 2015 and their concept is already very successful. At the moment Mix my Shampoo is concentrating on its further expansion in German-speaking Europe (Germany, Austria, Switzerland) but the UK and Italy are also interesting markets, Markus said. Mix my Shampoo’s next launch will be a conditioner and an intensive hair treatment is also in the pipeline. Another Breeze exhibitor I really liked was Pure Skin Food from Austria. The beauty brand was founded in 2014; they specialise in face oils and hydrosols (two product categories which I love!). Pure Skin Food’s product range offers four different sets for different skin types (normal skin, mature/dry skin, sensitive/normal skin and young/combination skin), the Cleansing & Detox Oil, a tooth oil which was introduced in December 2016, the Stunning Eyes eye care beauty oil, aBeauty Booster Magnolia oil serum which is based on argan oil, amaranth oil, chia seed oil and wheatgerm oil and three superfoods powder masks! The masks were launched in January 2017; there are variants with baobab powder and pomegranate (Renewing Plant Seed Peeling), with gingko and lucuma powder (Purifying Green Beauty Mask) and with hibiscus and rosehip powder (Revitalizing Red Beauty Mask). Another brand-new – and really unusual – product is the Lush Eyebrows oil, a special product to encourage eyebrow growth! 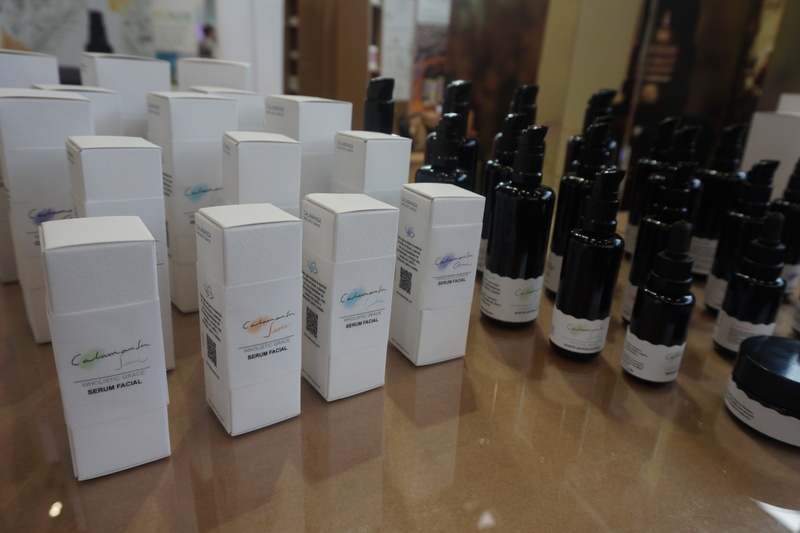 And finally, organic Korean beauty brand Whamisa made its first appearance at Vivaness trade show! I had met the brand at CosmeTokyo 2014 in Japan and immediately became a big fan. Over the past couple of years I stocked up on my favourite Whamisa products whenever I was in Seoul; in November 2016 I met the company behind Whamisa, Jallon/ENS Korea, at Cosmoprof Asia 2016. Just a few weeks later Whamisa was officially launched in Germany. It was fabulous to see Whamisa in Nuremberg and their Sea Kelp Mask immediately won the Best New Product Award 2017 in the category “special skin care product”. Congratulations! Russian C&T manufacturer Natura Siberica always has one of the biggest and most beautiful exhibition stands at Vivaness. It’s a bit of a strange company; they are present at Vivaness every year but the products are still not available in Germany. Hm. 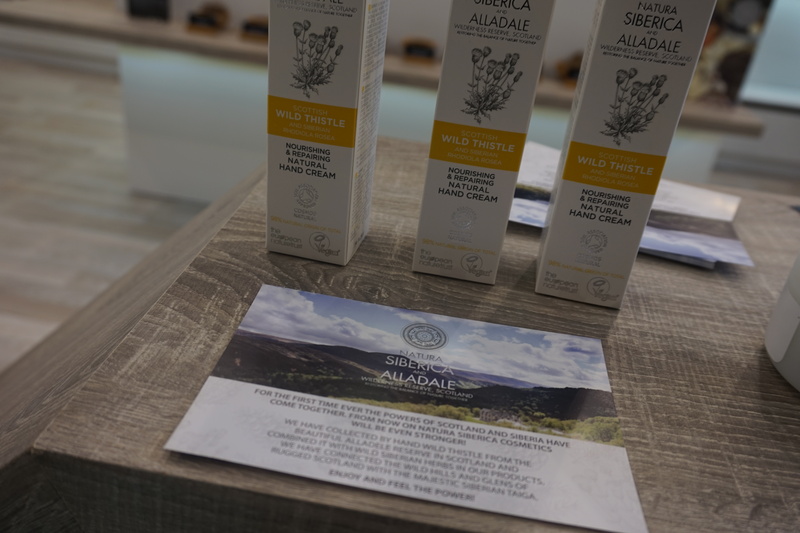 Anyway, the brand usually has several new launches to present at Vivaness; this year the novelties included bath and body care range Natura Siberica and Alladale, a cooperation between the Russian beauty brand and the Scottish wildlife preserve of Alladale. The eight products contain local Scottish Wild Thistle extract combined with various Siberian ingredients. A really interesting idea! I love snail cosmetics so I was delighted to see several new snail brands at Vivaness. One of these was Bio Snail from Italy, another Breeze exhibitor. Bio Snail was founded in the second half of 2016 so they are still very new. Their product range includes four sku: a serum, a cream, a body cream and a body gel; all with snail secretion filtrate. The serum retails at 39 Euro per 30ml. Another cool new snail brand was Mlle Agatha from France. The company was founded in 2013, products were certified organic this January and they were at Vivaness to find German distributors. The brand’s line-up includes 6 face care products, four body care products, five bar soaps and a shower gel. All products are formulated with at least 60% snail secretion filtrate combined with various plant extracts (the snail slime is harvested by hand, by the way). Mlle Agatha’s line-up offers a day cream and night cream with 60% snail filtrate each, an eye cream with 65%, a brightening cream which contains 69% snail secretion filtrate plus bearberry extract and liquorice root extract; a purifying face gel for acne-prone skin with 65% snail slime and colloidal silver, a hydrating face mask with 83% snail slime and ginseng extract, an intensive gel with 75% snail secretion filtrate and aloe vera extract. There is also a hand cream, a moisturiser for atopic skin and a body lotion plus five different bar soaps. A 30 ml day cream retails for around 30 Euro and 50 ml are 40 Euro which is about average for organic European snail cosmetics. 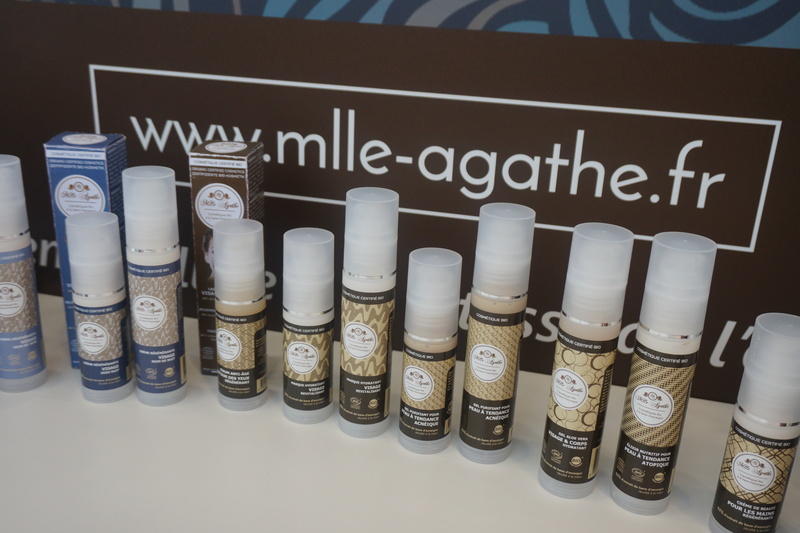 In its home market Mlle Agatha is sold in selected spas, institutes and pharmacies and the products are also available online. Outside of France, products are difficult to track down. I really hope they’ll be listed by one of the big German online stores soon. During last year’s trade show, Berlin-based toothpaste tablets manufacturer Denttabs had presented THE oral care innovation of Vivaness 2016. This year the honour went to a Breeze exhibitor: My Magic Mud from Texas in the US. My Magic Mud’s products are based on activated charcoal and the brand’s star product is the Whitening Tooth Powder (which, despite the name, is coal black!). 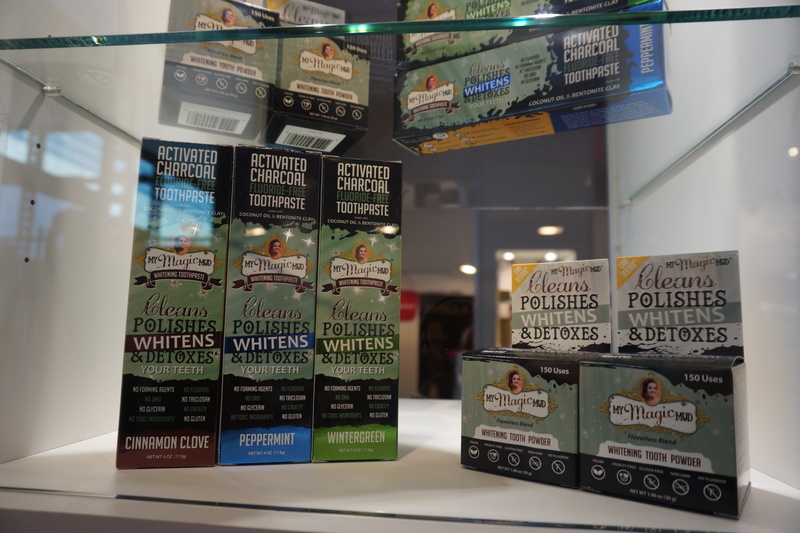 There are also three toothpastes with activated charcoal – for those customers who prefer traditional tooth cleansing formats – in Peppermint, Spearmint and Cinnamon (which is one of the biggest flavour trends in the US personal care market at the moment!). 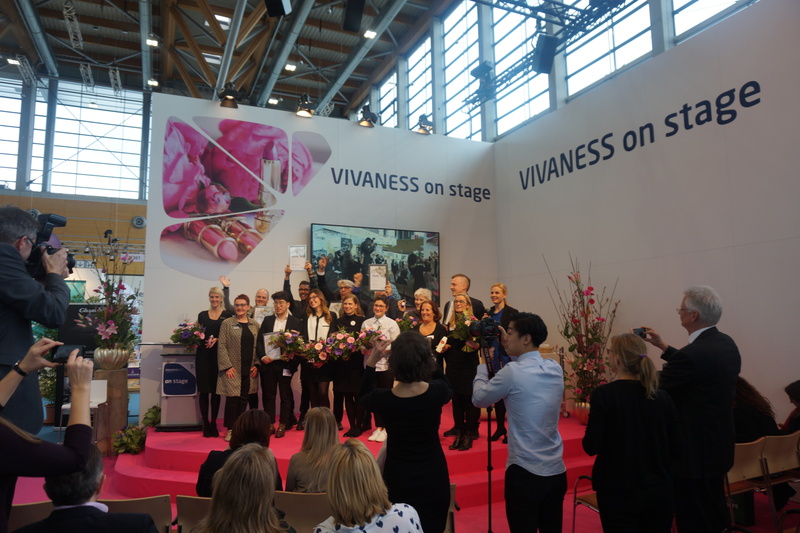 For me, Vivaness is about discovering new brands and new beauty products so I focused on the international, new and niche exhibitors rather than the well-established big German brands. This year, however, there was one first-time exhibitor which defied categorisation: on the one hand, it’s a new beauty brand; on the other, this brand’s manufacturer comes from big money (so to speak) so the new launch will start with a well-organised international roll-out plus the usual advertising measures – which usually indicate the presence of a big mainstream labels. I am talking about Birkenstock. Well, you know the manufacturer of the world-famous German sandals? 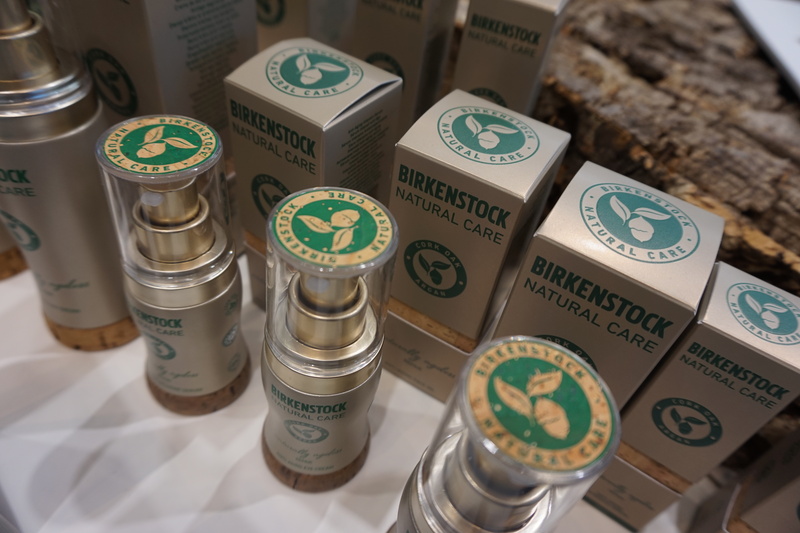 Starting in autumn 2017, there will also be range of Birkenstock Cosmetics, with a world-wide roll-out. From what I heard, the core markets will be Japan and the US which makes sense considering how popular Birkenstock sandals are in those countries. The range will offer 28 sku of face care, body care and men’s care. There are five face care ranges altogether; with all of the usual products – cleansers, moisturisers, toners, creams etc. ; the packaging is metal and cork; to me the larger bottles looked a little like waterproofing sprays for boots but to each his own! Anyway, the Birkenstock Cosmetics launch was one of THE conversational topics at this year’s Vivaness. I would imagine that the beauty range will be very successful in Asia, the US and perhaps even in other Western European countries. In Germany? Probably not that much. No information as to future distribution channel or pricing was available. And now, back to the more interesting exhibitors! France is usually the second-biggest exhibitor country after Germany, and Vivaness 2017 was no exception. There was a large presence of French C&T brands plus the annual Sud du France pavilion which presents niche brands from the South of France. 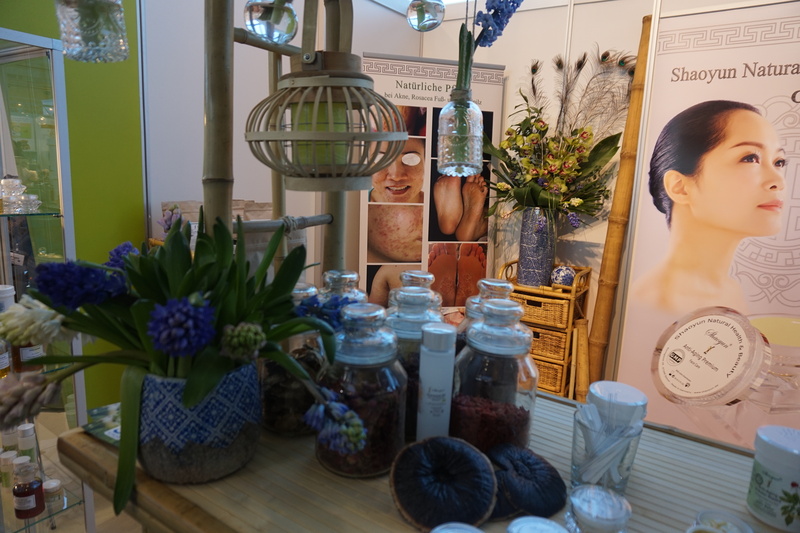 Beauty Garden – which had its exhibition booth at the Natrue pavillion – was founded in 2015. The brand is from Auriac in the Occitanie region of France and specialises in face and body care based on fruit and vegetable ingredients. There are 12 sku altogether which include a calendula body oil, body cream and hand cream, a cucumber cream mask and a pumpkin mask, a eye care cream based on daisy extract, a makeup remover oil with camomile extract, camomile and calendula bar soaps, a nut & camomile face scrub, a purple carrot moisturising cream and a “tisane” night cream with camomile, melissa and linden blossom extract. The products are packaged in wood and glass and Beauty Garden also offers a range of “tisane” herbal tea blends. Although the brand is comparatively new, it already has a retail presence in Austria, Finland and Switzerland. I was charmed by the high quality ingredients and the pleasant textures; I particularly liked the purple carrot face cream! Another interesting brand was Omum, a second-time exhibitor at Vivaness. Omum was launched in 2012; the company specialises in skin care products for pregnant women and post-pregnancy skin types. The range offers 9 sku for face and body: an Anti-Stretch Mark Dry Body Oil, an Intimate Cleanser, a Body Cream, Body Lotion, Moisturising Soap, Shaping & Toning Body Milk and a Face Moisturiser. I really liked the textures and fragrances of the products. In its home market, Omum is available in around 350 POS, such as department stores and salons. Outside of France you can order the products online, for example at Ecco Verde. Acorelle, founded in 2005, is from the South West of France. The company specialises in depilatory products, especially waxing products, and sun care but they also have a range of skin and body care. One of their new launches was particularly interesting: the 3-sku Anti-Repousse range is an anti-hair growth skin care range. A few years ago, body lotions with ingredients that slowed down hair growth on the legs were rather popular in Germany – quite a few mainstream brands came out with hair-minimising body care products – but these kind of products have since disappeared from the market. And I’ve never seen any anti-hair growth cream products for the facial area. 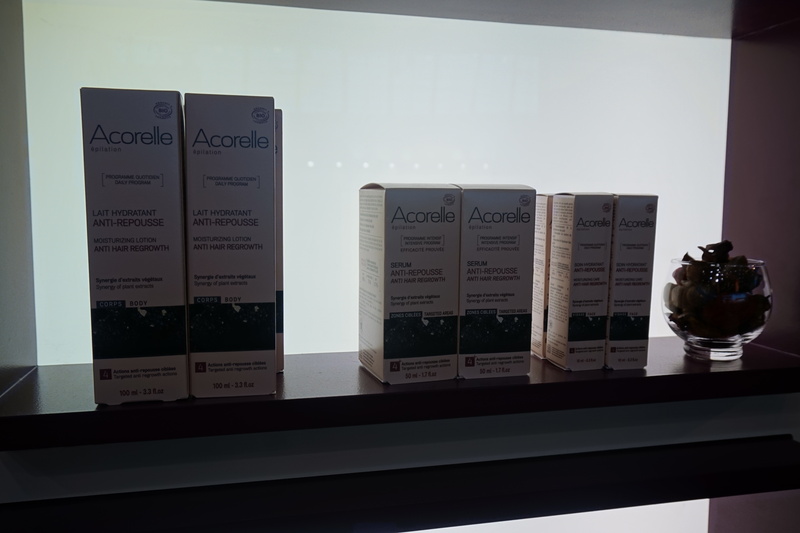 Acorelle’s Anti-Hair range offers an intensive treatment serum, a moisturising cream and a moisturising lotion. The products can be used all over the body; the cream (10 ml) is geared more towards the face, the lotion (100 ml) is primarily for arms and legs I would imagine; the serum (50 ml) can be used on whichever part of the body has particularly stubborn hair growth. All three products are formulated with nut grass oil which is claimed to help slow down hair growth, truffle extract said to boost skin cell regeneration and wax tree extract which is described as inhibiting the receptors within the skin that stimulate hair growth. And Laboratoires Biarritz is a French sun care brand from the seaside resort of Biarritz in the South West of France. The company’s main focus are sun protection creams and lotions – high SPFs with very good textures – but also skin and body care. 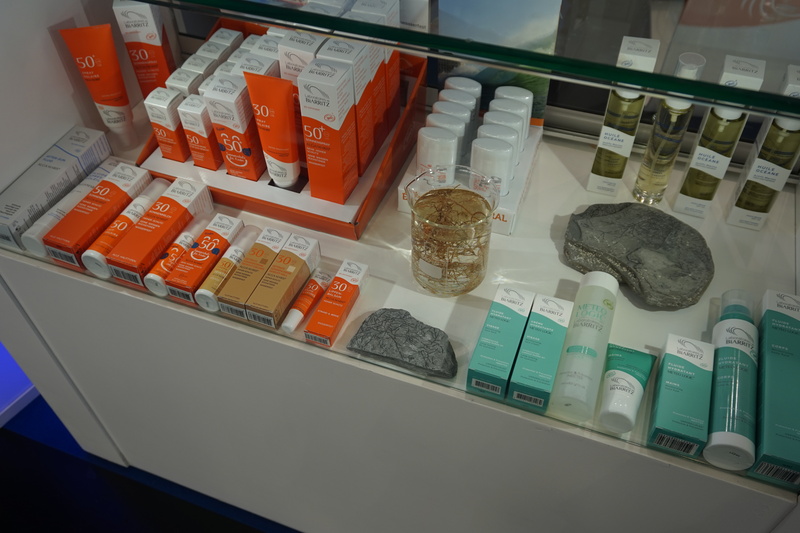 Laboratoires Biarritz presented a whole range of new products at Vivaness, including a tinted sun screen with SPF 30 available in two shades which, I was told, were developed especially for the German market. In October 2016, the brand had launched a sumptuous dry body oil, the Huile Océane. 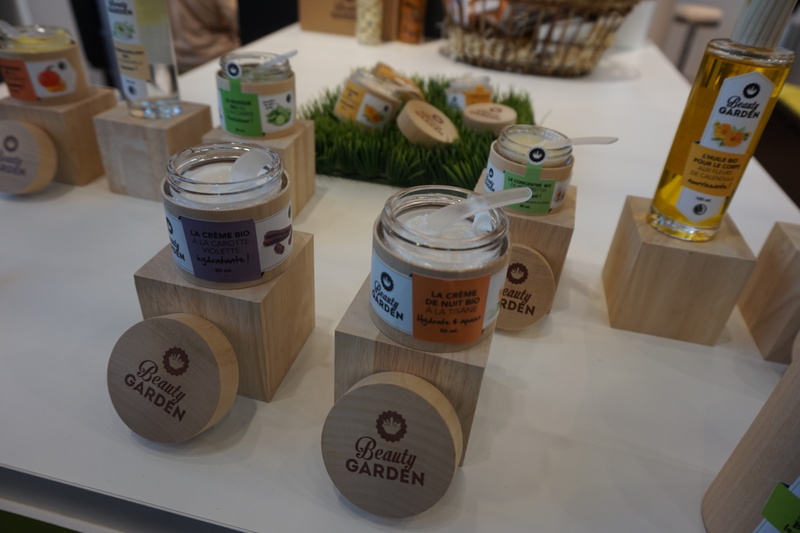 One of the few Austrian beauty brands at the show was GG’s Organics from Salzburg (the birth place of the famous composer Mozart). GG’s Organics was launched in 2016; the brand’s portfolio offers 6 sku of skin care products which are formulated with elderflower extract (elderflower is Austria’s second-biggest export, apparently!). The range includes a cleanser, a toner, lighter and richer moisturisers, a moisturising face mask and an eye cream. Nice products. Alteya Organics is one of my favourite Bulgarian beauty brands! The company’s rose water hydrosols and skin care creams are bestsellers across Asia (and no surprise, the products are fabulous!) and I see at the company at most larger Asian beauty trade shows – like Cosmoprof Asia in Hong Kong, for example. 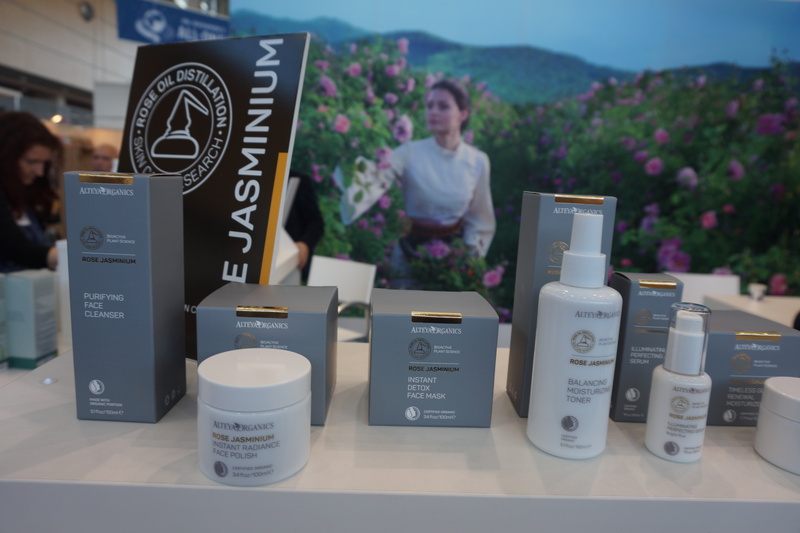 The company is also at Vivaness every year and this time, they brought a fabulous looking new anti-ageing/hydrating skin care range, the luscious Rose Jasminium range. Seven face care products formulated with rose and jasmine extracts: an eye cream, toner and serum, detox face mask, face scrub, cleanser and moisturiser. Other new launches included an SPF 25 face serum in the Rose Otto range, new sun protection creams and a range of new lipbalm sticks. Another cute brand from Bulgaria is Zoya goes Pretty. Established in 2012, Zoya’s first product range was a line of shea butter-based body balms. 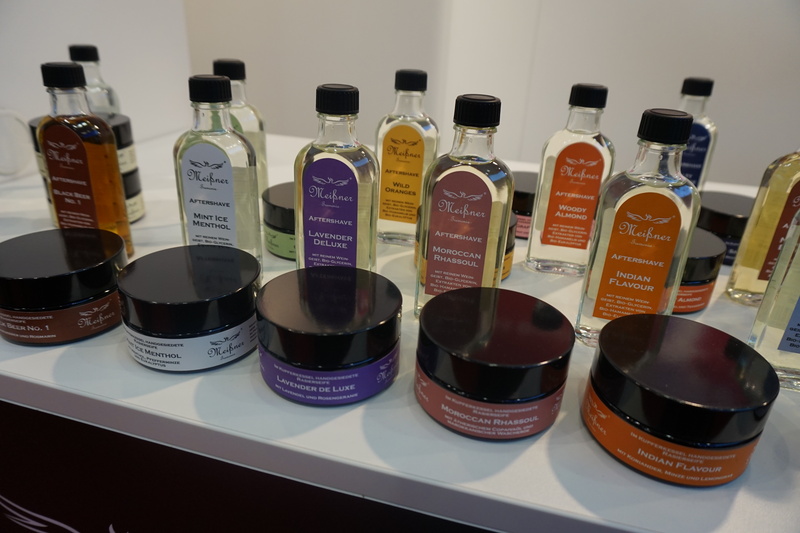 The company is a returning exhibitor at Vivaness and this year, they introduced a 6-sku range of body care creams with gourmand-inspired flavours such as Minty Cacao Cream, Coconut Orange Cream or Strawberry Mousse. 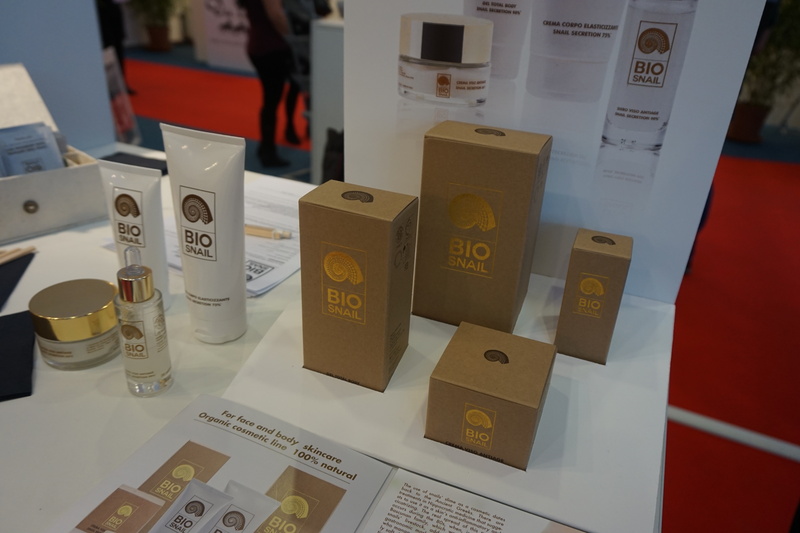 Niche beauty brand Wooden Spoon, also from Bulgaria, was a Vivaness first-time exhibitor last year. The company was founded in late 2014; they are based in Sofia. 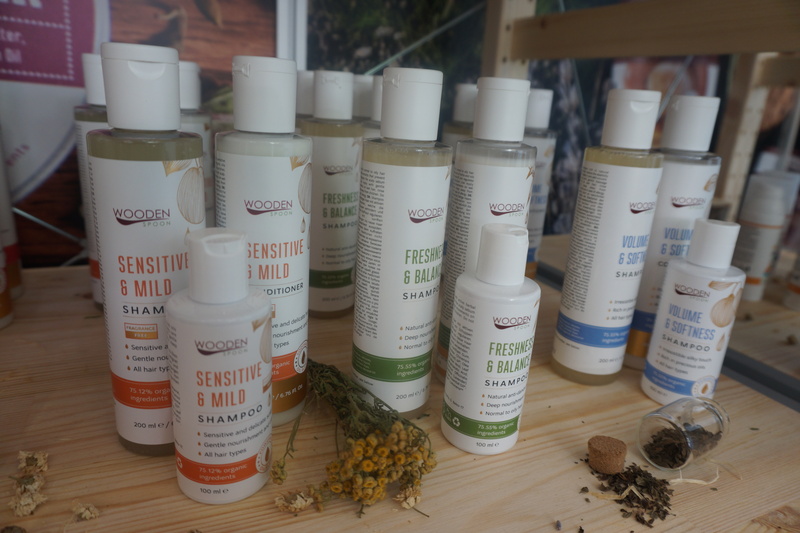 This year, Wooden Spoon returned to Vivaness with several new launches, including five shampoo & conditioner duos – Sensitive & Mild, Freshness & Balance, Volume & Softness, Colour & Vitality and Strong & Nourished – which were launched in January 2017. 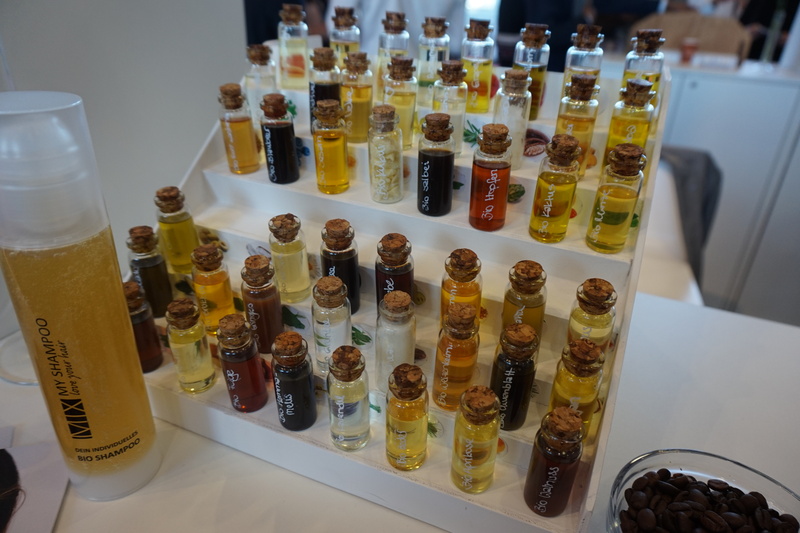 There were also a number of interesting beauty brands with alternative treatment concepts. Shaoyun, founded in 2014, is a German TCM-inspired beauty brand whose products are hand-made in small batches in the South German city of Speyer. The company was a first-time exhibitor at Vivaness. Certified by ICADA, Shaoyun’s face and body care products are formulated according to the principles of TCM (Traditional Chinese Medicine) and with Chinese herbal extracts. Fascinating stuff. Check out the ingredients of the products on the Shaoyun website! 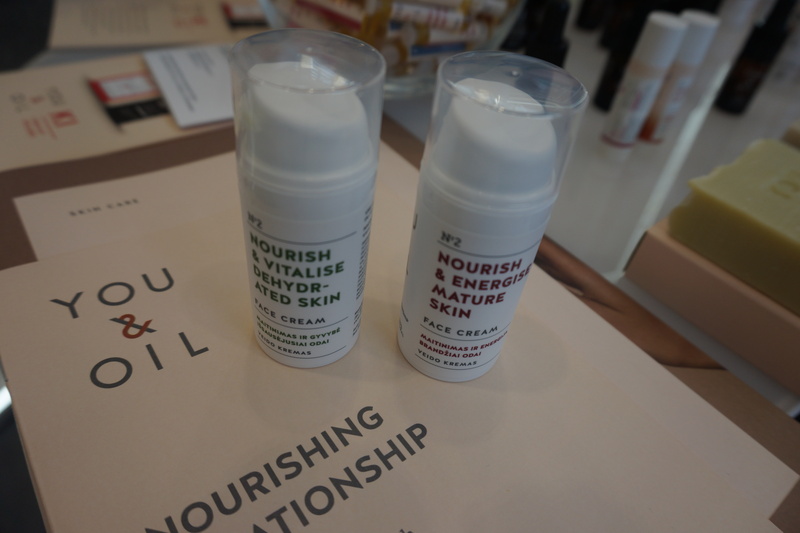 I particularly liked the Anti-Ageing Herbal Face Pack and Essence – the face mask is based on ginseng root powder, job’s tear’s powder, rose powder and mung bean powder, the essence (which is used to stir up the powder mask) contains rose water, citrus water, aloe juice and algae extract. 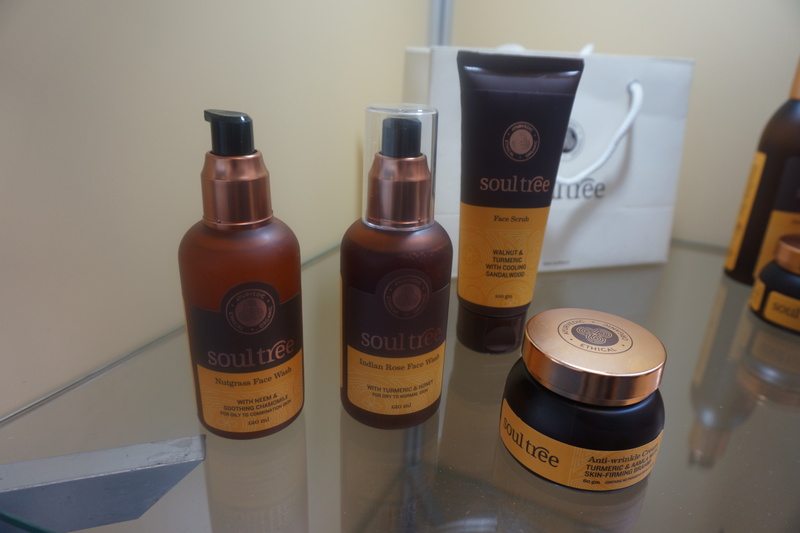 And Soultree is one of the very few certified organic brands from India. 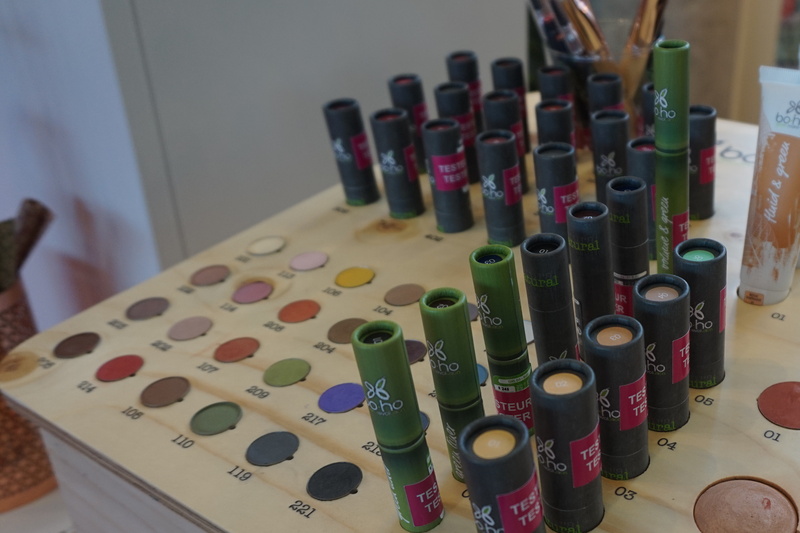 I had read about Soultree’s kajal crayons on Beautyjagd blog last year so I was eager to check out the other products of the Gurgaon-based company. Soultree’s cosmetics are formulated with ayurvedic ingredients; the face care line-up includes an anti-wrinkle cream with turmeric and amla, a nourishing cream with saffron and almond oil, a sun protection cream with aloe vera and green tea, a moisturising gel with sandalwood and tulsi extract and an eye gel with pomegranate and almond oil. The line-up also includes two hydrosols with jasmine & rose water respectively and four different lip balms, plus face washes with nutgrass & neem and turmeric & honey, a face scrub with walnut, turmeric & sandalwood and a cleansing lotion with aloe vera, rose water and liquorice root extract. The brand also offers two hair oils (a very Indian product), three shampoos and a conditioner, three shower gels, a hair and body wash and the aforementioned kajal range. The colour cosmetics selection also includes a line of lipsticks. Another first-time exhibitor at this year’s Vivaness was Calamansa Wholistic Premium Organic Cosmetics from Barcelona in Spain. The Spanish aromatherapy brand was established in 2015 and the portfolio include four product lines which are structured around different essential oil blends: Love (Amar) contains, rose, ylang ylang, geranium and neroli, Calm (Calma) includes Roman chamomile, lavender, clary sage and patchouli, Spice (Savia) combines rosemary, verbena, frankincense and Atlas cedar essential oils and Sana (Health) contains immortelle, juniper, grapefruit and cypress. Each fragrance line includes four products each: a face cream, a face serum, a body lotion and a body oil. In Spain, Calamansa is sold online and offline and they were at the trade show to look for distributors in other European countries. Products are priced between 42 Euro and 80 Euro and packaged in violet Miron glass. 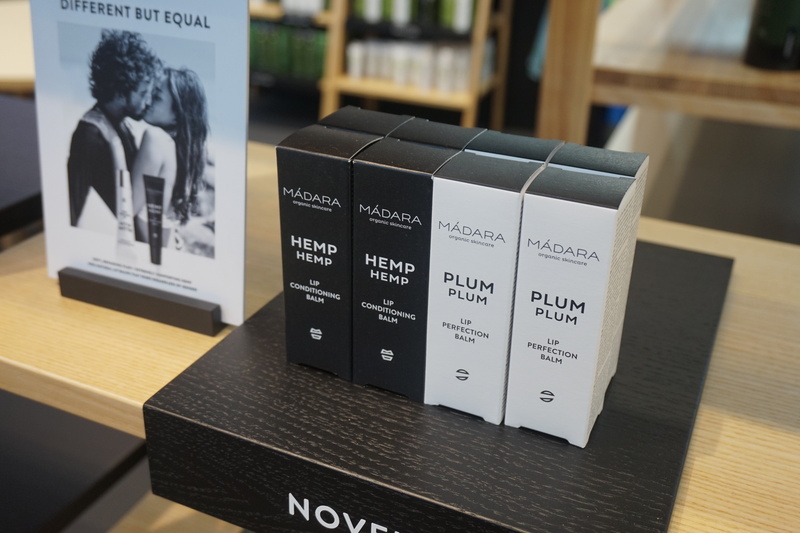 Mádara is arguably the best-known Latvian beauty brand: they were the first organic cosmetics manufacturer in their home country, with beautiful products and ultra-stylish packaging. Four years ago I went to Riga for a few days and also visited Mádara’s factory. Really interesting. Anyway, the last couple of years Mádara had not attended Vivaness but this year the brand was back in full splendour with the entire international product range. Amongst the latest products was the SOS Serum which had received this year’s Prix de Beauté from Swiss magazine Annabelle , and the Hemp Hemp Plum Plum lip balm range. Mádara recently started to expand its distribution in Germany: the products are now available in organic supermarket chain Basic’s outlets across the country. Truly beautiful products; my current favourite is the DD Cream. Also at Vivaness, just around the corner from Mádara, was the Latvian manufacturer’s second beauty brand: Mossa. When I was in Riga, Mossa had just been launched. Compared to Mádara, Mossa has a much more limited distribution outside of the Baltics. The products carry a moderate price tag; the key ingredients are various fruit and plant extracts. 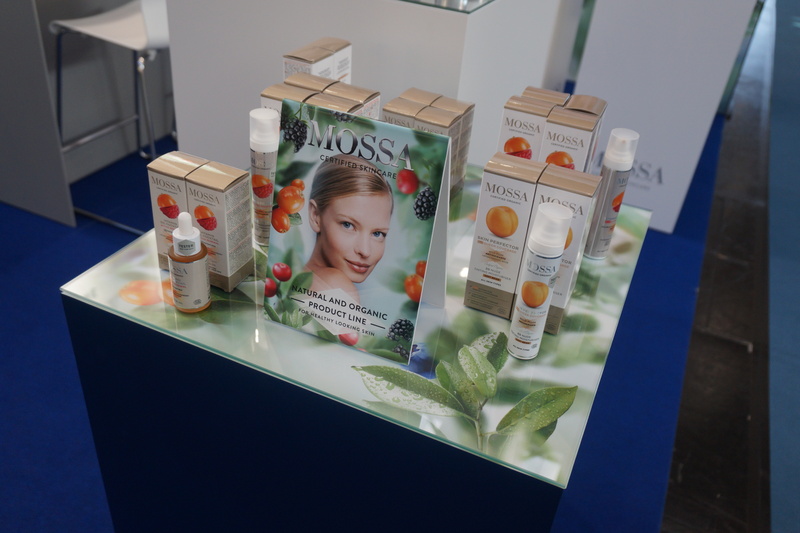 It has been a while since I last saw Mossa’s products in a store – I think it might have been in Helsinki last summer? Or Budapest? Not sure at the moment. Anyway, Mossa has a well-structured portfolio of skin and body care which is available in Italy, Hungary, the Czech Republic and Scandinavia as well as the other Baltic countries. The brand’s latest launches include three body lotion and a new mask in the Vitamin Cocktail range which will hit the shelves soon. You & Oil is from the neighbouring country of Lithuania. The brand was launched in 2013 and was at Vivaness for the second time. As the brand name indicates, You & Oil specialises in face and body care oils. Their latest launch is a duo of moisturising face creams, with one variant for dehydrated skin and one for mature skin. Another Lithuanian exhibitor was mineral makeup brand Uoga Uoga. A couple of years ago the brand was launched in Germany and it is doing rather well so far. Uoga Uoga (the brand name means “berry berry”) also has a retail presence in Austria, the Benelux countries (Belgium, Netherlands, Luxemburg), the Czech Republic, Finland and the Baltics (of course!). I knew Uoga Uoga’s colour cosmetics portfolio but had no idea that in its home market the company also sells luscious freshly-made skin care cosmetics. They also have two brand stores in Vilnius, the capital of Lithuania. I tried out some of the face creams and was bowled over by the high quality of the ingredients, the fragrances and amazing textures! Very cool. Unfortunately, however, the skin care is not available in any of Uoga Uoga’s international markets – at least not yet. 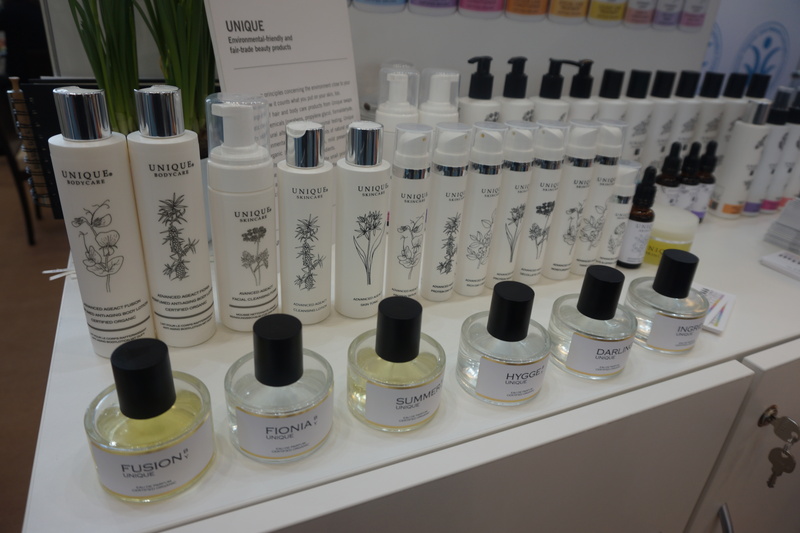 Unique is a Danish beauty brand. The company started out with a range of shampoos and hair care products based on whey proteins. 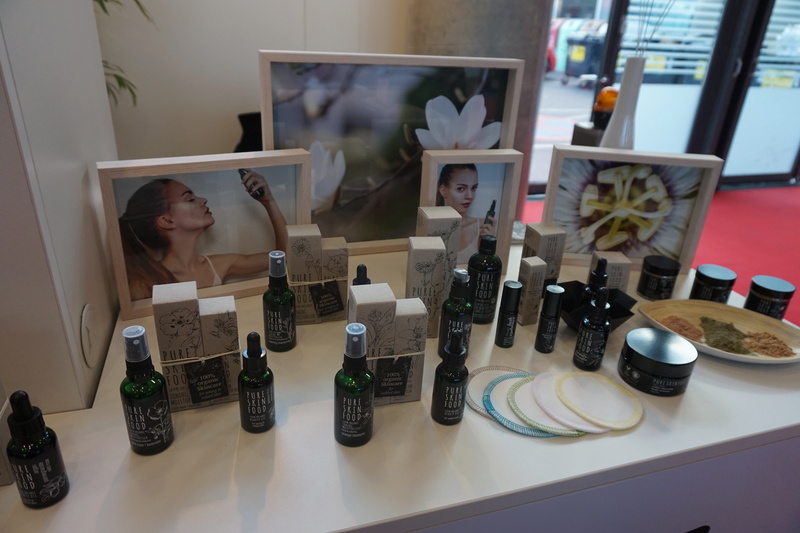 At this year’s Vivaness, Unique presented two major launches: a six sku range of organic fragrances and the 16-sku Advanced Ageact face and body care. The products look really interesting; they will officially launch in May! And the biggest Scandinavian beauty brand of them all, Urtekram from Denmark, was also at the show. And of course there were some new launches, such as the 8-sku Nordic Berry product range which offers a shampoo, conditioner, leave-in spray conditioner, shower gel, hand cream, body lotion, cream deodorant and liquid soap formulated with sea buckthorn extract, blueberry extract, rosehip extract and cranberry extract. The Nordic Berry shampoo won another of the Best New Product Awards, by the way. Also new is the 3-sku Aloe Vera Baobab range for men which includes liquorice extract. One of the first brands I met at my first Vivaness trade show, back in 2014, was Israeli brand Faran. The products are eye-catching; the outer cardboard packaging features beautiful shots of the Ramon crater in the Negev desert in Israel. The last few years, Faran had not attended Vivaness but this year, they were back! 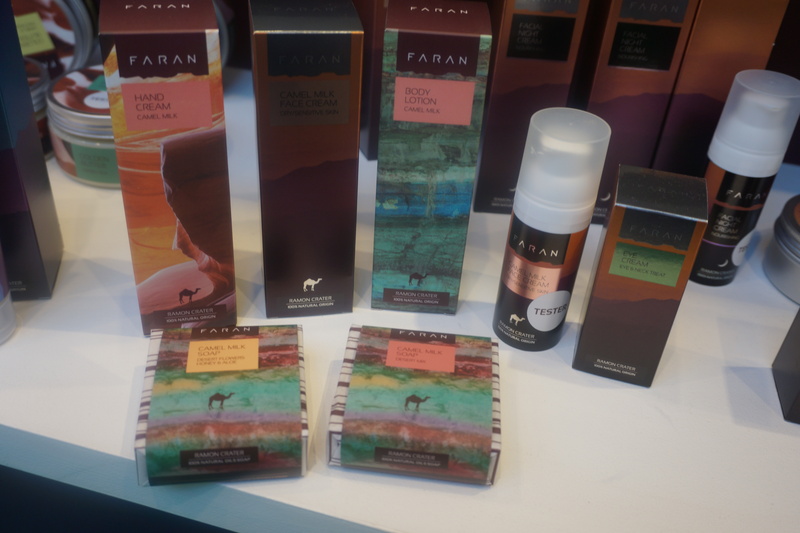 The brand’s most recent product launch is the 5-sku Camel Milk range which includes a face cream hand cream, two soaps and a body lotion. Vivaness 2017: Brands from really far away! Naveen is one of my favourite Taiwanese organic beauty brands! The brand’s manufacturer, Evergoods, was the first C&T company in Taiwan to receive an organic certification (Soil Association/Cosmos). I first came across Naveen at the Organic LOHAS Expo 2014 trade show in Taipei. In its home market, Evergoods retails a number of skin and body care ranges. Naveen is the company’s most high-profile international beauty range – the products are already available in other South-East Asian countries – and now Naveen is looking to enter the European market place, starting with Germany. 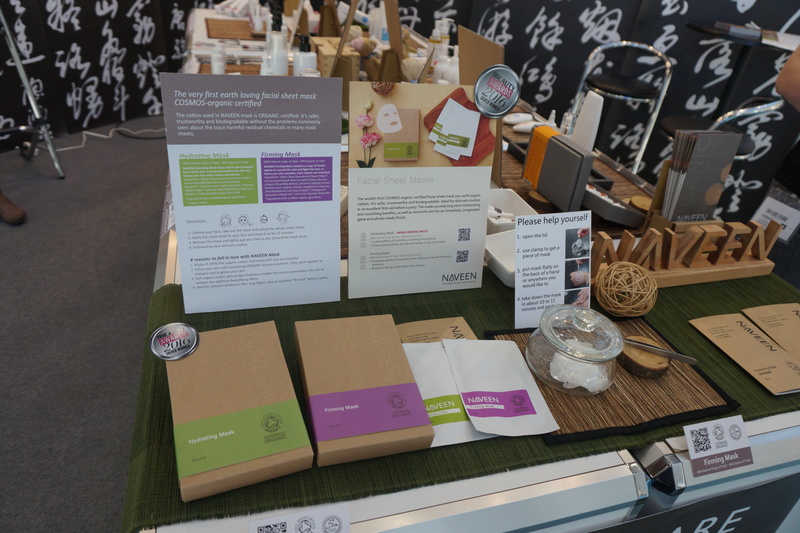 Evergoods was a second-time exhibitor at Vivaness 2017 and amongst their new launches they presented two new certified sheet masks, a Hydrating variant and a Firming Mask. And my favourite Thai spa brand, Znya Organics, also returned to Vivaness! Over the past few years I’d met Znya at various C&T trade shows, primarily in Asia, and I was really excited when they attended Vivaness for the first time in 2016. This year, Znya founder Witraporn Pimpla had brought a whole range of exciting new products launches to Nuremberg, including the Miracle Neem range of bath salts, body cleanser, bar soap and shampoo. There is also a new face care range which comprises an oil-based face soap and a facial oil and two tooth cleansing products, a tooth paste and – especially interesting – tooth salts which can be used too cleanse the teeth or diluted in water to be used as a mouth rinse. 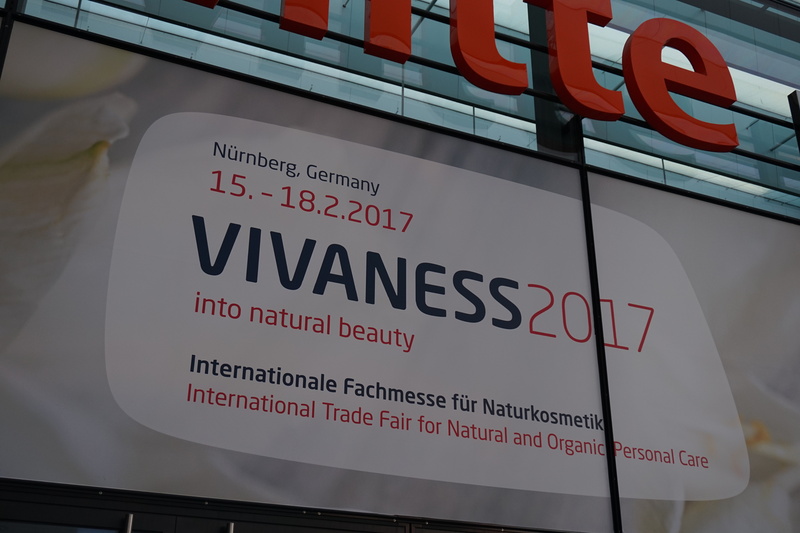 Although Vivaness is the main organic beauty show, the Biofach halls very often host smaller international beauty brands. These are usually niche brands that exhibit as part of a regional trade show presence or special country pavilion. One of these is Anamé Vio, an Argentinian beauty brand which was launched in 2013. Anamé Vio had its booth in the Argentinian Pavillion in Hall 2; the brand product portfolio includes an Organic Cleansing Oil with jojoba oil, a moisturising toner which is based on aloe vera, a moisturising day cream formulated with honey extract, a night-time cream with olive oil, a repairing face cream with blueberry and rosehip oil, a lip contour serum, a blueberry/rosehip oil roll-on serum especially formulated for deep wrinkles and a rosehip-based body lotion. Anamé Vio’s latest launch is a 3-sku range of men’s products which consists of an aftershave fluid, a face lotion and a rich moisturising face balm. Each year, Vivaness awards the Best New Product Awards in seven product categories. 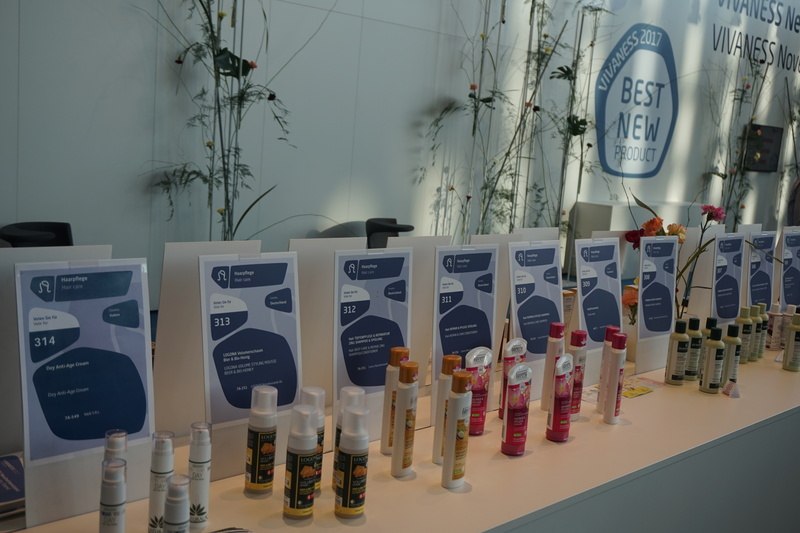 Exhibitors can present their new launches in the Novelties showcase and the trade show visitors then vote for their favourite product in each category. And this year’s winners were: Face care – Natural is Better from Italy with its Hyaluronic Acid & Aloe Serum. Body Care – Speick 3.0 Body Lotion (Germany). 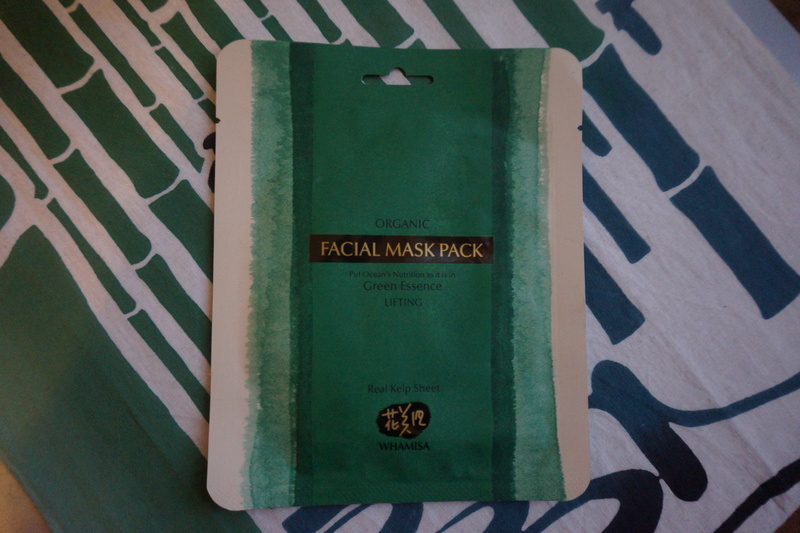 Special face care product – Whamisa’s Kelp Mask (Korea). 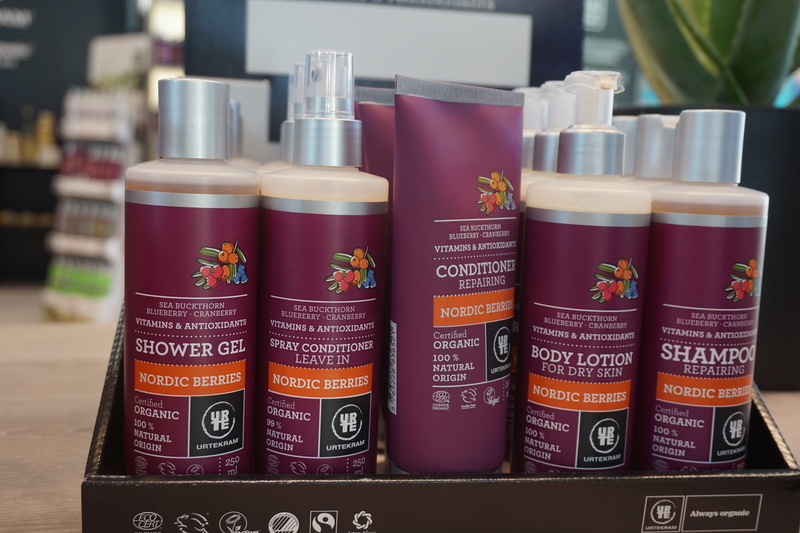 Hair care – Urtekram’s Nordic Berries Shampoo (Denmark). Colour cosmetics: Dr. Hauschka’s Colour-Corrective Powder (Germany). Drugstore product: Wasserneutral’s Toothbrush Case (Germany). Wellness: Yoga Mat Spray by German brand Primavera.